الوظيفةالحالية : عميــد كلية الصيــدلة - جامعة كفر الشيخ – جمهورية مصر العربية. الدرجة العلمية : أستاذ الكيمياء الحيوية (تخصص دقيق: بيولوجيا الأورام , مع التركيز على أورام الكبد -التـشخيص المبكــر لأورام الكبد و إستحداث أدوية من ضمنها الأعشاب لعلاج أورام الكبد) . إضافة إلى دراسة سمية بعض الكيماويات على الكبد فى نماذج تجريبية). محل الميلاد والاقامة: الدبونية – ميت غمـر- دقهليـة . 1 - بكالوريـوس الصيدلة - مايو 1985م . من كـليـة الصيـدلـة - جامعـة الزقازيق . بالعربيـة : تأثيـر الليثيـوم علـى بعـض مكـونات المـخ . 3 - دكتوراه فى الكيمياء الحيويـة - اكتوبر1999م – من كـليـة الصيـدلـة - جامعـة الزقازيق. بالعربيـة : دراسـة كيميـائيـة حيـويـة لبعض العـوامل ذات السميــة علـى كبـد الفئـران . · العمـل بجـامعـة الإمـام محمـد بـن سعـود الإسـلاميــة بالريـاض – السعـودية من 1989 حتى 1991م. · العمـل ككبيـر للــصيـادلة بمستشـفى أمريكـى بالسعـوديـة بجـدة لمدة حوالى عام: من 1991 حتى 1992. · و من عـام 1992 يمتلك معمـلا للتحـاليل الطبيــة حتى الآن. · مدرسا للكيمياء الحيوية بكلية الصيدلة بقسم الــكيمياء الحيويـة - جـامعة المنيـا بتـاريخ 29 / 2 / 2000 م حتى 28/6/2005. · أستاذا مساعدا بذات القسم من 28/6/2005 إلى 31/8/2010. · مديرا لوحدة أبحاث اورام الكبد من 1/1/2008 حتى 31 /7/2012. · أستاذا بذات القسم من 31/8/2010 و حتى 31 /7/2012 بذات الكلية . · رئيسا لقسم الــكيمياء الحيويـة من 26/9/2010 إلى 30/11/2011 بذات الكلية . · وكيلا للكلية لخدمة المجتمع و شؤن البيئة من 29/9/2011 و حتى 31 /7/2012 بذات الكلية. · أستاذا للكيمياء الحيوية من 1/8/2012 بكلية الصيدلة جامعة كفر الشيخ من 1 /8/2012 و حتى الآن. · عميدا لكلية الصيدلة جامعة كفر الشيخ من 13 /8/2012 و حتى الآن. - المشـاركة فى أعمـال الإمتحـانات و عضوية للكونترول بكلية الصيدلة – جامعة المنيا . - العمل كرئيس لكونترول الفرقة الثالثة: 2006. - العمل كرئيس لكونترول الدراسات العليا: 2007. - العمل كرئيس لكونترول الصيدلة الإكلينيكية: 2008 . - العمل كرئيس لكونترول التخلفات: 2010. - رئيس كونترول الفرقةالأولى لعام : 2011. - العمل كرئيس لكونترول التخلفات: 2012. · عضو اللجنة العلمية و المنظمة للمؤتمر الدولى الأول للبيئة بجامعة المنيا 15-18 ابريل 2005. · حضر دورة تدريبية فى أساسيات تفاعل البلمرة المتسلسل PCR و تطبيقاتها بكلية زراعة المنيا بتاريخ: 25-27 ديسمبر 2005. · حصل على شهادة بانجاز دورة تدريبية فى زراعة الأنسجة من أمريكا من 27/9 حتى 30/12/ 2006. · حضــر عدد سبعة دورات مختلفة لتنتمية قدرات أعضاء هيئة التدريس ( من 2004 و حتى 2008). · حضر دورة بالمركز البريطانى عن كتابة المشاريع العلمية الممولة دوليا (13-15 نوفمبر 2007). · قام بإعداد مشروع تطوير الدراسات العليا للكلية كاملا . · رشحته الكلية لجائزة الجامعة لعام 2007. · تم ترشيحــه من المعهــد الأمريـــكى للسير الذاتيــة] American Institute of Biography [و حصل على شهادة بذلك. · عمل مديرا وحدة أبحــاث أورام الكبــد منذ 1/1/ 2008 و حتى 13/7/2012 بكلية الصيدلة جامعة المنيا . · التدريس لطلاب الصيدلة و الصيدلة الإكلينيكية و الدراسات العليا من 29/2/2000 حتى 13/7/ 2012 . · رائد اللجنة الثقافية لإتحــاد طلاب الكلية فى العام الدراسى 2001/ 2002. · رائد اللجنة الرياضية لإتحــاد طلاب الكلية فى العام الدراسى 2002/ 2003. · رائد أسرة المستقبــل فى العام الدراسى 2003/ 2004. 2. الجمعيــة المصـريـة للكيميـــاء الإكلينيكيـــة منـذ 1992 و حتى الأن ويحضـر جميـع مـؤتمـراتهــا و كلهــا دوليــة . 3. الرابطة الطبية المصــريــة للسـكر من سنـة 2000 حتى الأن. 4. الجمعيــة المصـريـة للكيميــاء الحيـويـة و البيــولوجيــا الـجزيئيــة . 5. الجمعيــة المصـريــة لعلوم السـميات . 6. الجمعيــة المصـريــة للأدوية و العلاج التجريبى . 7. الجمعيــة المصـريــة للمطفرات البيئية . 8. الجمعيــة المصـريــة للتكنولوجيا الحيوية و العلوم البيئية. 9. الجمعيــة المصـريــة للطب االبديل و حماية حق المريض. 10. جمعية الشرق الأوسط لبحوث السرطان. International Federation of Clin Chem . Egyp. Soc Biochem and Mol Biology . Egyp. Foundation of Diabetes . Egyp. Soc of Toxicol . Egyp Soc of Clinical Chemistry . American Society of Biochemistry and Molecular Biology . Egyptian Association of Alternative Medicine. Arab Soc of Med Res. Egyptian Society of Biotechnology and Environmental Sciences. Egyptian Society of Medicines and Experimental Therapeutics. Egyptian Society of Environmental Mutagens. Association of Liver Patients Care in Dakahlia ( Egypt). Middle-Eastern Association for Cancer Research (MEACR). 1. Internalization Mediators and Coat Proteins as Seromarkers for Early Detection of Hepatitis C Viral Infection (IMCPSDHCI). ( A project published for FP7 cooperation) . 2. An Aldose Reductase Inhibitor (ARI) and Diallyl Sulfide (DAS) as Chemopreventive Combination for Hepatocellular Carcinoma in Diabetic Rats. (PhD Thesis). Finished. 3. Identification of Cervical Cancer Stem Cells. (Joint PhD with Toyama Univ, Japan). (PhD Thesis). Finished. 4. Study of Some Biochemical Parameters in Patients with Colorectal Cancer Before and after Chemotherapy . Looking for New Parameters Useful in Detecting Metastatic Potential into Liver. (PhD Thesis). Finished. 5. Study of The Possible Anti-Cancer Activity of a Combination of Pegylated Interferon alfa-2a and Ribavirin in Rats. ( Master Thesis). 6. Glycoregulatory Enzymes Perturbation in Experimentally-Induced Hepatocellular Carcinoma. ( Master Thesis). Finished. 7. Peak Level of Some Biomarkers Suggested to Help in Elevating Sensitivity of Diagnosis of Hepatocellular Carcinoma (HCC) . (Master Thesis). 8. New Markers in Predicting Early Development of hepatocellular carcinoma Among Hepititis –C- Infected Patient. (Master Thesis). Finished. 9. Study of Variation­­s in Neurotransmitters' Levels in Experimentally Induced Hepatocellular Carcinoma in Rats. (Master Thesis). 10. Role of Olive Leaves in Modulating the Metabolic Disorders of Hepatocarcinoma in Rats. ( Master Thesis). Finished. 11. Expression of Somatostatin Receptor type II in Hepatocellular Carcinoma and the Treatment Effects of Some Herbs. (Master Thesis). Finished. 12. Study of The Possible Extrahepatic Carcinogenic Potential of Some Chemical Carcinogenic Models. (Master Thesis). 13. Total and Individual Glycosaminoglycan Levels in Patients with Hepatocellular Carcinoma. (Master Thesis). 14. The Anticancer Potential of Eastern Crop Garlic. (Master Thesis). 15. Collection of Serum, Plasma, and Liver Tissue Samples for Assay Development. Biobanking Among Different Grades of Hepatocellular Carcinoma Patients from Egyptian Centers. An Italian Project Submitted for FP7 at 2007. 16. Identification of Biomarkers Panel for Early Diagnosis of Hepatocellular Carcinoma in Egyptian Population. An Italian Project Submitted for Egyptian-Italian Cooperation Program at 2008. 17. Discrimination Between Primary and Secondary Hepatic Malignancies Relying on Sero Markers. (PhD Thesis). 18. Validation of Alpha L-Fucosidase as a New Marker for Early Diagnosis of Hepatocellular Carcinoma. (Master Thesis). 19. Investigation of Possible Changes of HDGF Expression in Hepatocarcinogenic Moues Model. (Master Thesis). 20. DNA Hyper Methylation in Hepatocellular Carcinoma. (PhD Thesis). 21. Minimization of Liver Cancer Development by Using Some Egyptian Phytoceuticals Through Management of Inflammatory and Oxidative Stresses ( Joint Project with Vienna University of Medicine). 22. Targeting Some Cancer Mediators by C-phycocyanin from Spirulina maxima Against Experimental Hepatocellular Carcinoma ( Joint Project with Tanta University, College of Science). 23. Role of Naturoceuticals as a Chemo-Sensitizer for Experimental Hepatocellular Carcinoma( Joint Project with Mansura University, College of Science). Abdel-Hamid, NM, El-Moselhy, MA and Fawzy, MA (2012): Novel panel of early diagnostic markers for experimental hepatocellular carcinoma. Journal of Health Science, 2(2): 14-18. Stress and Nitric Oxide. Journal of Health Science, 2(2): 8-13. NanoSized Anticancer Drugs. Arch in Cancer Research, 1 (1):1.
doi: 10.3823/900 ( Review article). Abdel-Hamid, NM, Nazmy, MH, Abdel-Ghany, MI, Nazmy, WH (2012): Cytokines as Important Playmakers of Experimental Hepatocarcinogenesis Confounded Diabetes. Annals of Hepatol,11(1): 118-127. Abdel-Hamid, NM, Nazmy, MH and Nazmy, WH (2011): Vitamin C and Diallyl Sulfide as Chemo-Sensitizers to Cisplatin in Treating Hepatocellular Carcinoma. Journal of Solid Tumors 1(3):90-102. Abdel-Hamid, N M, Farid, MM, Eldemeri, AM, Atwa, M and Anbar, NH (2011): Pro-Angiogenic Mediators as Targets for Chemotherapy of Colorectal Carcinoma. Am J of Med and Med Sci, 1(1): 7-14. doi: 10.5923/j.ajmms.20110101.02. Abdel-Hamid, NM, Nazmy, MH, Wahid, AW, Fawzy, MA and Youssof, M(2011): A Survey on Herbal Management of Hepatocellular Carcinoma. World J Hepatol,3(7):175-183. (Editorial, Highlight Review Article Article). Abdel-Hamid, NM, Nazmy, MH and Abdel-Bakey, AI(2011): Polyol Profile as an Early Diagnostic and Prognostic Marker in Natural Product Chemoprevention of Hepatocellular Carcinoma in Diabetic Rats. Diabetes Research and Clinical Practice, 92(2): 228 – 237. DOI: 10.1016/j.diabres.2011.02.003. Abdel-Hamid, NM, El-Moselhy, MA and El-Baz, A (2011): Hepatocyte Lysosomal Membrane Stabilization by Olive Leaves Against Chemically-Induced Hepatocellular Neoplasia in Rats. Int J Hepatol, 2011(6 pages). doi:10.4061/2011/736581. Abdel-Hamid, NM and Morsy, MA (2010): Novel Biochemical Pathways for 5-Fluorouracil in Managing Experimental Hepatocellular Carcinoma in Rats. J Membrane Biol, 234:29–34. Abdel-Hamid, NM (2009): Recent Insights on Risk Factors of Hepatocellular Carcinoma. Editorial, Highlight Article, Published in: World J Hepatol, October 15;1(1): 3-7. (Review Article). Adel-Hamid, NM (2009): Premalignant Variations in Extracellular Matrix Composition in Chemically Induced Hepatocellular Carcinoma in Rats. J Memb Biol, 230(3):155-162. Adel-Hamid,NM (2009): Update to Risk Factors for Hepatocellular Carcinoma. Int J of Med and Med Sci,1(3): 038-043. (Review Article). [Presented in International Symposium on Biotechnology , in Tunisia, Sfax, 2008 ]. Adel-Hamid, NM (2008): Priority Considerations in Early Laboratory Diagnosis of Hepatocellular Carcinoma. Int J of Integ Biol, 3(3): 196-201. (Review Article). Abdel-Hamid,NM, Faddah, LM, Al-Rehany, MA and Awad, AA (2008): The Effect of Sildenafil Citrate (viagra) Combination with Vitamin E on Some Blood Neurotransmitters and Minerals in Diabetic Rats. Asian J Biochem, 3(2):126-133. Abdel-Hamid,NM, Faddah, LM, Al-Rehany, MA and Awad, AA (2008): Oxidative Stress in the Liver of Diabetic Rats Treated with a Combination of Sildenafil Citrate and a Free Radical Scavenger. Asian J Biochem, 3(1):32-37. El-Moselhy, MA, Abdel-Hamid, NM and Abdel-Raheim, SR(2009): Gastroprotective Effect of Nicorandil in Indomethacin and Alcohol-Induced Ulcers . Appl Biochem Biotechnol , 152:449–459. Abdel-Hamid , NM, Faddah, LM, Al-Rehany, MA, Ali, AH and Bakeet, AA (2007): New Role of Antinutritional Factors, Phytic Acid and Catechin in The Treatment of CCl4 Intoxication . Annals of Hepatol, 6(4): 262-266, (Presented in Young-Chem Conference, in Poland, 2007). Mohamed El-Sweidy, Nabil Abdel-Hamid, Mohamed El-Moselhy (2007) : The Role of a Mixture of Green Tea, Turmeric and Chitosan in The Treatment of Obesity - Related Testicular Disorders. J Appl Biomed, 5 :131-138. Laila Faddah, Nabil Abdel- Hamid, Yaser Abul-Naga, Sanaa Ibrahim, Ahmed Mahmoud (2007): Lactate Dehydrogenase Isoenzyme Pattern in The Liver Tissue of Chemically-Injured Rats Treated by Combinations of Diphenyl Dimethyl Bicarboxylate. J Appl Biomed, 5: 77-80. Ashraf El-Bassuony and Abdel-Hamid, NM (2006 ) : Antibacterial Coumarins Isolated from Lausunae Resedifolia. Chemistry of Plant Raw Materials,1:65-68 . Abdel- Hamid , NM (2006 ): Diphenyl Dimethyl Bicarboxylate as an Effective Treatment for Chemical-Induced Fatty Liver in Rats . African Journal of Biomed Res, 9 : 77- 81. Faddah, LM, Al-Rehany, MA ; Abdel-Hamid ,NM and Bakeet, AA(2005): Oxidative Stress , Lipid profile and Liver Functions in Depot Medroxy Progesterone Average Egyptian Long Term Users. Molecules 2005, 10, 1145-1152 . ( Presented in EuroAsian Conference, in Russia, Ciberia, 2004 ). Amin, RS, Abdallah, FR And Abdel-Hamid, NM (2004): Variations in Some Blood Minerals Related to Bone Remodeling and Haematopoiesis in Rheumatoid Arthritis. J Elementology, 9 (4): 531 – 536 . Abdel- Hamid, NM and Tarabanko, VE (2004) : Radioprotective Effect of an Egyptian Wild Herb Ambrosia maritima L (Damsissa) : Biochemical Study on Neurotransmitters . Chemistry of Plant Raw Materials, 4 : 53-58. Abdel-Hamid, NM, Abdallah, FR And Amin, RS (2003 ): Serum Total Calcium, Magnesium and Phosphorus Levels in Rats Treated by Some Amino Glycoside, Quinolone Antibiotics , Piretanide and Verapamil. Tanta Med J,31(2): 565–662. (Abstracted in Toxicology Letters , 144 ( 2003 ) , Suppl 1 , abstract no. 304 , page : S 84 ). Abdel-Hamid, NM (2003): Considerable Biochemical Reasons for Possible Ibuprofen – Induced Alopecia in Rats. J Egyp Soc Toxicol , 29 :71 – 75. Abdel- Hamid, NM; Amin, RS and Abdallah, FR (2002): Serum Ferritin, Folate and Cyanocobalamin Levels as Novel Markers for Ibuprofen–Induced Alopecia in Rats. Arab J Lab Med, 28 (1): 65 – 72. El–Sweidy, MM, Abdallah. FR, Amin, RS and Abdel- Hamid, NM (2002): Prolonged Intake of Acetyl Salicylic Acid and Its Metabolic Consequences in Rats. Arab J Lab Med,28 (2) : 177 – 186. Abdallah, FR, El–Sweidy, MM, Abdel- Hamid, NM and Amin, RS (2002): Concomitant Intake of Acetyl Salicylic Acid and Omega-3 Fatty Acids, an Experimental Study on Extracellular Matrix. J Egyp Soc Toxicol, 28 :30 – 39 . Faddah LMH; Abul-Naga,YA; Abdel- Hamid, NM and Mahmoud, AW (2002): Possible Hepatoprotective Combinations of Diphenyl Dimethyl Bicarboxylate (DDB) with Some Antioxidants in Carbon Tetrachloride Intoxicated Rats. The Egyp J of Biochem and Mol Biol , 20 , Special Issue : 105 – 113 . El–Sweidy, MM; Abdallah.FR and Abdel- Hamid, NM (2002) : Biochemical Study on Some Hepatotoxic Agents in Rats. J Egyp Soc Toxicol, Suppl to Vol. 28:40–54. El– Sweidy, MM, Abdallah, FR and Abdel- Hamid, NM (2000): The Use of Fibronectin and Chondroitin Sulphate Rather Than Liver Enzymes as Markers for Liver Damage in Individuals Exposed to Certain Occupational Hazards. Zagazig J Pharm Sci, 9 (2): 54 – 57 . Abdel-Hamid, NM, Abdel-Ghany MI, Nazmy MH, Amgad SW: Can Methanolic Extract of Nigella Sativa Seed Affect Glyco-regulatory Enzymes in Experimental Hepatocellular Carcinoma ? [ Published online first in: Environmental Health and Preventive Medicine, Japanese Journal]. Abdel-Hamid, NM, Ramadan, MF and Amgad, SW: Glycoregulatory Enzymes as Early Diagnostic Tool for Hepatocellular Carcinoma. Abdel-Hamid,NM, Aoulia, D, Aymen, BA and Amina, Y: Acute Myocardial Infarction Revealing a Polycythemia Vera. ( Case Report). Abdel-Hamid, NM, Wahid, AM and Helaly, T: Estimation of Des-gamma-carboxyprothrombin Rather than Alpha Fetoprotein Elevates the Diagnostic Performance of Hepatocellular Carcinoma among Upper Egyptian Hepatitis C Patients. Moustafa Fathy, Chika Koike , Toshiko Yoshida, Motonori Okabe, Kaixuan Zho, Nabil Mohie Abdel-Hamid, and Toshio Nikaido: Identification of Cervical Cancer-Stem Cells. 1. Associate Editor of Herald Journal of Biochemistry and Bioinformatics (HJBB). 2. World Journal of Hepatology (2009-20013). 3. Journal of Solid tumors (JST). 4. Asian J of Biochemistry. 5. International J of Biological Chemistry . 6. International J of Cancer Research. 7. International J of Pharmacology. 8. Asian J of Clinical Nutrition. 9. Research Journal of Pharmaceutical, Biological and Chemical Sciences. 10. Asian Journal of Medical Sciences (AJMS). 13. Journal of Analytical Oncology. 14. Wulfenia Journal, Museumgasse, Austria. World Journal of Hepatology (WJH). International Journal of Medicine and Medical Sciences(IJMMS). African Journal of Biochemistry Research. Asian Network for Scientific Information/ Academic Journals/ New York/USA (www.acadjour.com). Food and Chemical Toxicology (Elsevier). Jordan Journal for Biological Sciences (JJBS). The Journal of Biomedical Science. Brit J Med and Med Res. 1. المـؤتمـر الـدولـى السـابع و الأربعيـن للجمعيــة المصـريــة للـكيميــاء الإكلينيكيــة [مـاريـوت- القـاهـرة] . بتـاريخ : 10-12 فبـرايـر 2001 . 2. المـؤتمـر الـثالـث للجمعيــة المصـريــة للـسـكر [المنيــا] . بتـاريخ : 10-11مـــايـو 2001 . Prolonged Intake of Acetyl Salicylic Acid and Its Metabolic Consequences in Rats. Published at: Arab J Lab Med , 2002 , 28 (2) : 177 – 186 . Concomitant Intake of Acetyl Salicylic Acid and Omega-3 Fatty Acids. An Experimental Study on Extra cellular Matrix. Published at: J Egyp Soc Toxicol, 2002, Suppl to Vol. 28 : 30 – 39. Possible Hepatoprotective Combinations of Diphenyl Dimethyl Bicarboxylate (DDB) with Some Antioxidants in Carbon Tetrachloride Intoxicated Rats. Published at: The Egyp J of Biochem and Mol Biol, 2002, Vol 20 , Special Issue : 105 – 113 . 6. المـؤتمـر الـدولـى الخمسيـن للجمعيــة المصـريــة للـكيميــاء الإكلينيكيــة [مـاريـوت- القـاهـرة]. بتـاريخ:17-19 ديـسمبـر 2002 . 7. المـؤتمـر الـسنوى السـادس و الأربعيـن للجمعيــة المصـريــة للأدويـة وااـعلاج التجـريبى بالمشـاركـة مع قسـم الفـارمـاكولوجـى .كليـة طب بيـطرى الزقـازيق [الزقـازيق]. بتـاريخ :10أبـريـل 2003 . 8. المـؤتمـر الـدولـى الثـانى و الخمسيـن للجمعيــة المصـريــة للـكيميــاء الإكلينيكيــة [مـاريـوت- القـاهـرة] . بتـاريخ :11-13 ديـسمبـر 2004 . 9. المـؤتمـر الـدولـى التـاسع والعشـرين للعـلوم الصيـدليـة [دار الدفـاع الجـوى- القـاهـرة] . بتـاريخ :22 ديسمبـر 2004 . ( Damsissa ): Biochemical Study on Neurotransmitters. 11. المـؤتمـر الـقـومى السـابع للجنة القومية للـكيميــاء الحيـويــة و البيـولوجيـا الجزيئيــة و دورهما فى التنمية و البيئة – بتـاريخ : 5-7/3/2006 بالقـاهرة [بجـامعـة عيـن شـمـس ]. 12. حضر المؤتمر السنوى السابع عشر للجمعية المصرية للطب المعملى– بتـاريخ : 22-23/3/2006 بالقـاهرة [فندق ماريوت]. 13. المـؤتمـر الـعلمى السـنوى الحادى و العشـرون للجمعــة المصـريـة لعلوم السميـات بالتعاون مع كلية بنات عين شمس(قسم الحيوان) – . بتـاريخ : 12-13/4/2006 بالقـاهرة . 14. المـؤتمـر الـقـومى السـنوى للـكيميــاء الحيـويــة و البيـولوجيـا الجزيئيــة و دورهما فى التنمية و البيئة – بتـاريخ : 19-21/4/2006 بالقـاهرة [بجـامعـة عيـن شـمـس ]. 15. حضر المنتدى السادس لاتحاد طلاب كليات الصيدلة بالزقازيق (كلية الصيدلة) 1-2 / 4/ 2007. 16. المـؤتمـر الـعلمى السـنوى للجمعــة المصـريـة للـكيميــاء الحيـويــة و البيـولوجيـا الجزيئيــة –. بتـاريخ : 19-20/4/2007 بالقـاهرة [بجـامعـة عيـن شـمـس ]. 17. المـؤتمـر الـعلمى السـنوى للجمعــة المصـريـة للـكيميــاء الحيـويــة و البيـولوجيـا الجزيئيــة –. بتـاريخ : 22-23/4/2008 بالقـاهرة [بجـامعـة عيـن شـمـس ]. تحت عنوان الجينوم البشرى: تطور فى الـكيميــاء الحيـويــة و البيـولوجيـا الجزيئيــة. Oxidative Stress, Lipid Profile and Liver Functions in Depot Medroxy Progesterone Middle Egyptian Long Term Users. Update to Risk Factors for Hepatocellular carcinoma, بتاريخ 4-8/5/ 2008. 9. ألقى محاضرة كمدعو رسميا ليمثل مصر فى المنتدى الخامس للغرفة العربية النمساوية فى فيينا فى 19 أكتوبر و عنوان المحاضرة : Perspectives in the Management of Hepatocellular Carcinoma. · كلية الطب جامعة كونيتيكت(الولايات المتحدة) فى إجازة علمية لمدة ثلاثة أشهر بداية من 27/9/ 2006. · كلية خريجى الطب و العلوم الصيدلية جامعة توياما (اليابان) فى قناة علمية 11/2008. 1. رســالـة مـاجستيــر بعنـوان : دراسـة التأثيـر المؤكسـد لخلات الميدروكسى بروجيستيرون المتخزن و تأثيره على بعض معدلات الأيض فى متناوليـه على المدى البعيــد . A Study of The Oxidative Status and Some Metabolic Effects in Depomedroxyprogesterone Acetate Long - Term Users . 2. رســالـة مـاجستيــر بعنـوان : دراسـة كيميائيـة حيـويـة لدور الدايفينيل دايميثيـل بايكاربوكسيلات مع بعض مضادات الأكسدة فى الجرزان المعالجـة برابع كلوريد الكربون . Biochemical Study of The Role of Diphenyl Dimethyl Bicarboxylate (DDB)With Some Antioxidants in Carbon Tetrachloride Intoxicated Rats . 3. رســالـة مـاجستيــر بعنـوان : التغيرات الكيميائيـة الحيويـة المحدثـة بالسيلدينافيل (الفياجرا) فى الجرزان المريضـة بالسكـرى . Biochemical Changes Induced by Sildenafil ( Viagra ) in Diabetic Rats. Role of Olive Leaves in Modulating the Metabolic Disorders of Hepatocarcinoma in Rats. An Aldose Reductase Inhibitor (ARI) and Diallyl Sulfide (DAS) as Chemopreventive and Chemosensitizing Combination for Hepatocellular Carcinoma in Experimental Diabetic Models. 4. رســالـة مـاجستيــر بعنـوان: دراسة للنشاط المحتمل كمضاد للسرطان لتركيبة من البيجيلاتيد انترفثيرون الفا-2 و الريبافيرين فى الجرذان. 5. كتاب: كنوز الطب الشعبى البديل . (الترقيم الدولى : 977-366-013-3). · يعمل مديرا لوحدة أبحــاث أورام الكبــد (Hepatocellular Carcinoma) منذ 1/1/ 2008 حتــــى تاريخــــــه و هذا معلن رسميا على موقع الكلية على شبكة الانترنيت. · أشرف على رسائل ماجستير و دكتوراه و يشرف على رسائل كلها تدور جميعها فى نفس التخصص الدقيق و هذا موضح فى مرفقات الرسائل . ثــــالثا: الأبحــاث المنشورة و مراجعة أبحاث للنشر لمجلات دولية بنفس التخصص و هذا موضح فى المرفقات . رابعـــا : أختيــــر كعضو بهيئة تحــرير المجلة العالمية لعلوم الكبـــد و هى مجلة دولية و له بحث إفتتاحى مرجعى على واجهة المجلــة بإعتباره عضوا فاعلا بها و هذا مرفق أيضا فى محله. The Need for New Biomarkers for Early Speculation of Hepatocellular Carcinoma. · قام بإعداد مشروع تطوير الدراسات العليا للكلية كاملا بما يحقق خدمة فى حل المشاكل المتعلقة بأمراض مصر المنتشرة مثل الإلتهاب الكبدى الفيروسى و أورام الكبد. 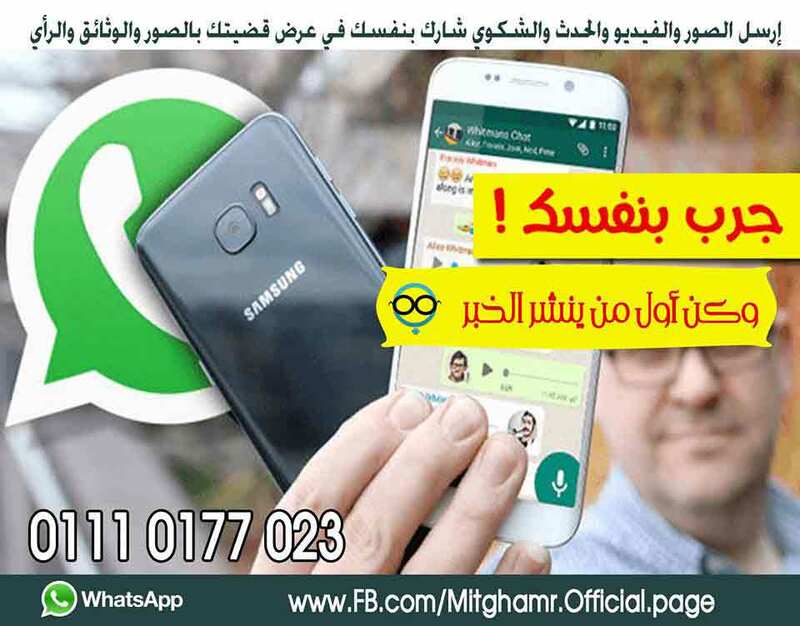 · قام بوضع الخطة البحثية للقسم بتأدية دورا هاما لتشخيص و علاج أورام الكبد باستخدام مستخلصات من النباتات المنتشرة بالبيئة المصرية. · ألقى محاضرة بكلية العلوم جامعة الزقازيق عن فيروس س و انتشاره و مخاطره. · تم ترشيحــه من المعهــد الأمريـــكى للسير الذاتيــة ] American Institute of Biography [و حصل على شهادة بذلك. · تبنى إنشاء بنكا حيويا لجمع العينات الدموية و النسيجية من المراكز المختلفة بمصر و العالم العربى لخدمة البحث العلمى بدلا من التخلص منها و عرض تلك الفكرة فى قناة صحتى الفضائية المصرية و قناة الصحة و الجمال الفضائية كما اسس مجموعات لذلك على كل من الفيس بووك و الساينس بووك على موقع وزارة البحث العلمى. · اسس مجموعة على موقع وزارة البحث العلمى لمحاربة فوضى تناول الفضائيات للأعشاب. · اسس مجموعة على موقع وزارة البحث العلمى للتعريف بأمراض الفقر و الجهل. · ألقى محاضرة عن طب مصر القديمة بمعهد بحوث الصحراء بالقاهرة. · قدم أكثر من عشرين حلقة متلفزة على الهواء بالفضائيات و القنوات المصرية الأرضية عن مشاركة الصيدلى فى العلاج الصحيح بالأعشاب و التوعية الصحية. · قدم حوالى ستة حلقات لراديو شمال الصعيد عن تسمم المياه و غيرها من موضوعات تهم البيئة. · كتب مقالات بمجلة الصحة و الأسرة و بعض الجرائد و القناة الرابعة المصرية للتعريف بأنفلونزا الخنازير . · Had 10 training sessions in quality control and accreditation program . · Attended and elected from the University for British Council Workshop In Cairo for Project Preparation Skills.